MiFi free 4GB data valid for 30 days. 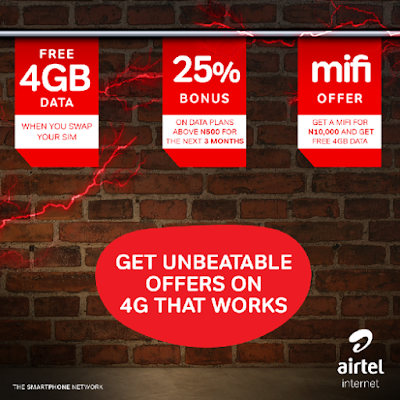 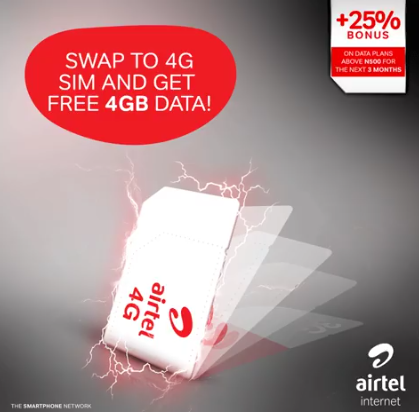 It's painful that not everyone can enjoy this package due to network coverage, but will be of great achievement if Airtel 4G can be made available to other cities in Nigeria as a matter of urgency. Swap Your Sim for a 4G SIMIf you are living in Ibadan and you are using a 4G enabled device. 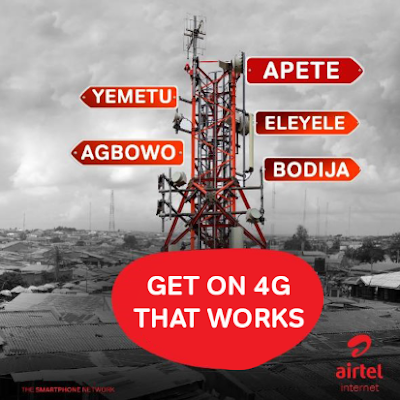 Kindly visit an Airtel shop near you with a valid means of identification for assistance on your swap request.